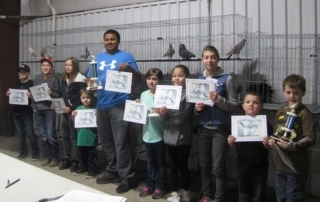 Grand Circle Pigeon Club (GCPC) proudly presents, “Color Country Show 2019”. Join us Friday February 1st and Saturday February 2nd at the Washington County Park & Fairgrounds, in Hurricane Utah. There will be trophy presentations for Best in Show, Best Fancy, Sporting, Rare, Pouter and Utility.